Hullo again, me mates! ChurchMouse here. I’m back at my assigned post amongst the Church Kliegs. As accidental readers of my reports and zealous followers of Fulcrum’s posts know, yours truly was summarily visited in England, land of my origin and contrived manner of speech, to receive jovial chastisement from Herr Wagoner and his hulking 6’-7” son. Stern looks and whacks upon my tail—for certain stylistic and doctrinal transgressions that were picked up in my recent Fulcrum Laodicea report. I feel better, now. But, as I ruminated upon my poenam ecclesiasticam, I indulged a spot of sympathy for myself. Poor little me, a mere mouse, battered. PETA will want to hear about this. 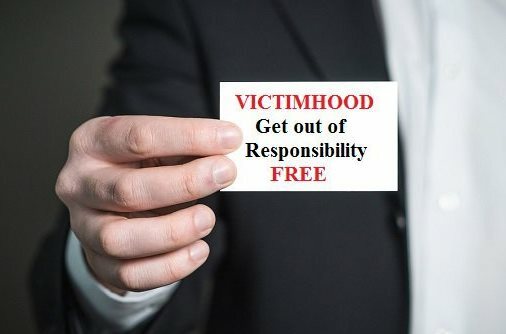 I shall tweet #victimToo to Spectrum, our official in-house journal of victimhood, or Adventist Today, our official scandal tabloid. One or the other must have a hot line! But “victimhood” is what’s hot now. So hot it’s cool. And violent, intense, overpowering, or subtle or in-your-face. It has deposed comedians from Franken to Cosby and CEOs from Weinstein to Moonves. America teems and seethes with huddled victims. The state and the church race each other to share the victim’s pain, to counsel and nuzzle and hug and court her or him. Pampered on campus, they are provided with safe spaces to brood and do drugs. Formerly, before victimhood became the fad, much real village victimhood was covered over, as per Peyton Place. No longer censored out, victims and victimizers have taken over the town and the movie palace and Zuccotti Park. It was Satan who gave us victimhood, a cornucopia of innumerable kinds of it. He himself invented it, asserting that God had treated him unfairly, refusing to grant him, he of all glorious beings, his cosmic due and his rights, and had demeaned and demonized him. Poor little victimized Lightbearer. If the mightiest of angels are able to, he dabbed at tears, like ChurchMouse. But his sob story was bought by one third of the angels. And then by Eve. Satan as serpent informed her that God had sardonically denied her the wherewithal to become god-like herself. Life isn’t fair! Once Eve had bought Satan’s line that God had victimized her, Satan had license to victimize us all, all humankind, and has with a vengeance. Your church, with which the ChurchMouse identifies, has historically warned that the Endtime, a time of trouble such as never was, would be marked by a burgeoning of sinners, including unsalvageably sadistic victimizers. They are here, busy, succeeding. But just as there is genuine suffering and bloody, writhing, and fatal victimhood, there is a happy victimhood, oblivious to Satan’s seemingly flattering victimizing deceptions, such as Eve fell for. ChurchMouse doesn’t rightly know what to call this kind, either in UK or US English. They could be termed counterfeit victims, virtual, willing, flattered, deceived victims; fake victims. Mindless of their victimhood, they are acutely aware that their rights have been abridged, and by jove, they aren’t going to stand for it. As fake are these victims as transgenders sobbing that nature in depriving them of their true inner gender has rendered them victims, and doubly victimized by the heartless deniers of their victimhood. What can be blamed for victimhood is proliferating as fast as victimizers: society, communism or capitalism; social injustice or apathy; being bullied, battered, or hated, or ignored; intolerance, bigotry or being ignored; singlehood, marriage, divorce; parents or orphanhood or adoption; parenthood or sterility; fate, nature, bad karma, bad vibes; time of the month; wild mushrooms and synthetic and distilled substances; stress or boredom; party-going or loneliness; too much to do or not enough, everybody is doing it. It’s confusing -- can’t tell the victim from the perp. It seems that the most points go to the victimizer who connives to be seen as the victim. No matter; one soon turns into the other. Fathers are classic abusers, first abusing alcohol and then their wives and children. Mothers don’t seem like natural abusers, but they have ways. Their children, even into old age, nurture victimhood as reasons why they themselves can’t succeed, or to make more marketable ghost-written autobios of their show-business success. Scampering for cover from another flash of deserved disqus-thrower and moderator indignation, ChurchMouse daresays that the ladies seem ahead of the game with their pioneering #MeToo, having already fingered patriarchal abuse and toxic masculinity. Cringing males could be tweeting #WhoMe? Or #WhaHoppened? Nowadays, all it takes to be a victim is for somebody else to differ. Back then Voltaire is said to have said, “I detest what you say but will defend to the death your right to say it.” But Victimaire says your right is abusive to me and doubly detestable. You deserve death, not being defended to the death. Out in the worldly world, awarded or yet-to-speak-out victims and victimizers abound. But ChurchMouse observes that the church, nowadays looking to the world for guidance rather than providing guidance to the world, has—aping the world—acquired its zoo of victims, usually indistinguishable from the worldly kind. Except, ours harness the trickiest twisted arguments of both seminary and grad school, and frequently the same place. ChurchMouse observes that prominent among our church victims are LGBTXers, notably the Seventh-day Gays. They do make witty movies or at least movie titles. [Moderator’s note to ChurchMouse: Man shall not live by wit alone.] Having until now been whacked with Romans 1, SDA gays dismiss Romans as irrelevant to contemporary culture, read worldly culture, and as embarrassingly unscholarly hermeneutics. And the women’s ordination bloc sees victimhood in the GC’s attempts to bring back “unity.” In lockstep with the WOers, dully applauded by Spectrum, and justified by postmodernist ideas of self-determination and democracy, are more and more congregations and denominational organizational units (e.g. the NAD and the Southwestern union conference). And, O you pastors -- once self-proclaimed heroes of broad-mindedness, now self-proclaimed victims of narrow-mindedness. Oh, the irony: victimhood ordained by ecclesiastic abuse, hypocritically inflicted not by papists but by our own Vatican. Overnight, with one issue of Spectrum, our church has more victims than martyrs. Goodbye arithmetic. Hello new math. For God in Christ humbled Himself to be victim in our place, to redeem us from Satan’s deep and fatal victimization: alienation from God and subjection to the consummate victimizer, Satan himself. In our stead, Christ was victimized and suffered as no man has been or could be. And, perhaps an even greater miracle, He delivers us from deceiving ourselves into victimhood. ChurchMouse is utterly speechless with wonder, and puzzled as to why the pews and pulpits seem focused on other things. As victim, Christ suffered. We His followers are warned that we shall too and enjoined to rejoice. Joyful suffering is our badge of loyalty to Him, if indeed we suffer for Christ. That’s the catch: “If for Christ.” Pop victims suffer for themselves, are not Christ-centered, and are resentful, bitter, vengeful, or proud. Not one whit Christlike. ChurchMouse has heard not only atheist but also religious theology-toting victims, even some SDAs, blame God Himself for creating all suffering. And if God didn’t invent grief and woe, He could have instantly squashed it but permitted and even condoned it as His agent, thus bearing as much or more guilt than Satan. On an gentle elevation, seated on a grassy slope, Christ delivered to a seated throng His Sermon on The Mount, blessing the various kinds of victims. This was His New-Covenant complement to the Law hand-written on tables of stone that He had delivered through Moses to the cowering multitude, against thunder and lightning from craggy mount Sinai. Softly but unequivocally, Christ admonished victims of real abuse to go the second mile, turn the other cheek. Virtual victims tweet online or bleat on Adventist Today. Not Christlike in the least. Our Lord also declared that trumpeting one’s own holiness is its own reward. Likewise, tweeting one’s own victimization, and celebrating 130 million dollar settlements and seeing the abuser fired in the lake of media-legal-fire, are its own reward. Christ has blessed the meek and promised a far better reward. There will be no victims in the kingdom. But not to worry, gentle moderator, my brother in faith if not species. ChurchMouse, repentantly bow to your jocund admonitions. I shan’t bother to look up Spectrum’s victimhood hot line (SVHL).